Over the past few years, Wireshark has developed a reputation as one of the most reliable network analyzers available on the market. Users across the globe have been using this open-source application as a complete network analysis tool. Through Wireshark, users can troubleshoot network problems, examine security issues, debug protocols and learn network processes. In this tutorial, you will find out about how Wireshark works. We will take you through the steps of locating the Wireshark program and installing it on your computer. You will find out how to start up a packet capture and what information you can expect to get out of it. The Wireshark tutorial will also show you how to get the best out of the data manipulation functions within the interface. You will also learn how you can get better data analysis functions than those that are native to Wireshark. 1 What does Wireshark do? As mentioned above, Wireshark is a network analysis tool. At its core, Wireshark was designed to break down packets of data being transferred across different networks. The user can search and filter for specific packets of data and analyze how they are transferred across their network. 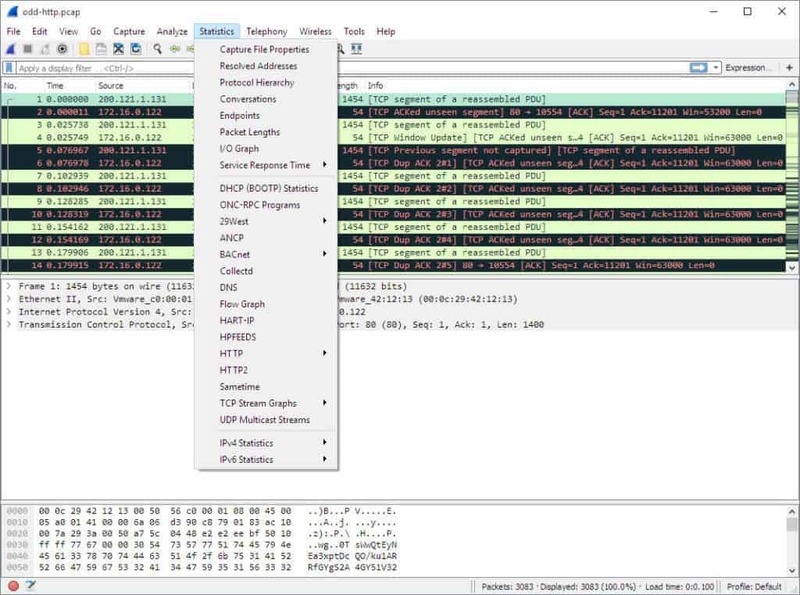 These packets can be used for analysis on a real-time or offline basis. The user can use this information to generate statistics and graphs. Wireshark was originally known as Ethereal but has since established itself as one of the key network analysis tools on the market. This is the go-to tool for users who want to view data generated by different networks and protocols. Wireshark is suitable for novice and expert users alike. The user interface is incredibly simple to use once you learn the initial steps to capture packets. More advanced users can use the platform’s decryption tools to break down encrypted packets as well. 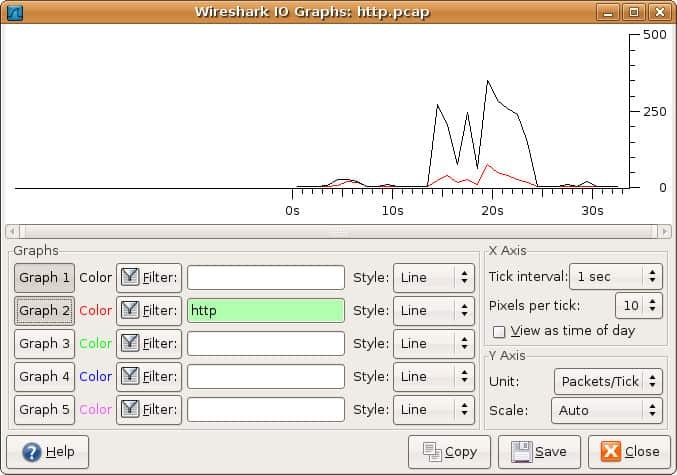 Most users use Wireshark in order to detect network problems and test their software. As an open source project, Wireshark is maintained by a unique team keeping service standards high. 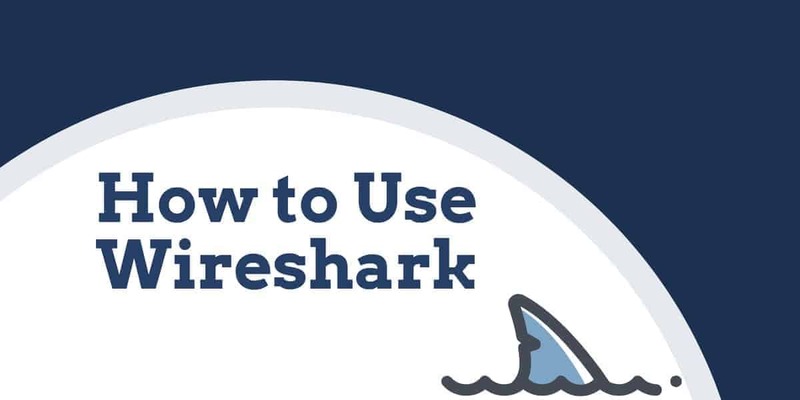 In this guide, we break down how to use Wireshark. Further information can be found on Wireshark’s official user guide. Before using Wireshark, the first thing you need to do is download and install. You can download Wireshark for free off of the company website. In order to have the smoothest running experience, it is advised that you download the latest version available on your platform from the “stable release” section. Once you’ve downloaded the program you can start the setup process. During installation, you may be prompted to install WinPcap. It’s important to install WinPcap as without it you will be unable to capture live network traffic. Without WinPcap you will only be able to open saved capture files. To install, simply check the Install WinPcap box. Then wait for Wireshark to start. GTK+, The GIMP Tool Kit and Glib, both from the same source. libpcap, which you get from http://www.tcpdump.org/. Following on from installing the above supporting software, and downloading the software for Wireshark, you need to extract it from the tar file. You can now run the Wireshark program on your Unix computer. Once you’ve done these three things, you’re ready to start the capture process. When you use Wireshark to capture packets, they are displayed in a human-readable format to make them legible to the user. You can also break packets down with filters and color-coding if you wish to see more specific information. Check the box of the interface you want to capture and press the Start button to start. You can select multiple interfaces if you want to capture data from multiple sources simultaneously. You can also use the shark fin button on the toolbar as a shortcut to initiate packet capturing. Once you click this button, Wireshark will start the live capture process. If you want to stop capturing, click the red stop button next to the shark fin. 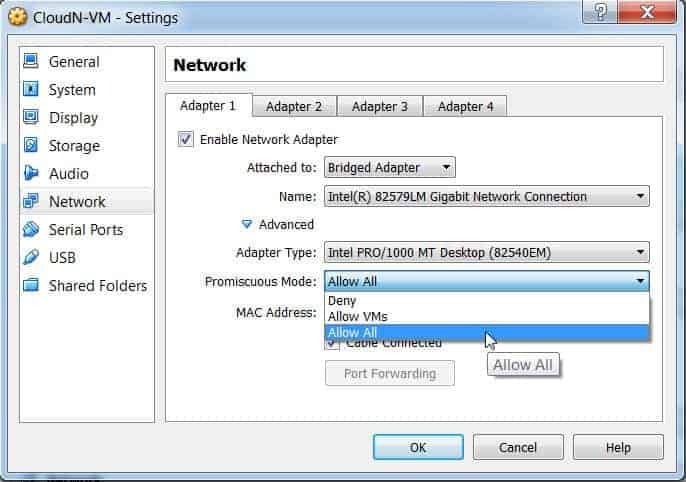 If you want to develop an overhead view of your network packet transfers, then you need to activate ‘promiscuous mode’. Promiscuous mode is an interface mode where Wireshark details every packet it sees. When this mode is deactivated, you lose transparency over your network and only develop a limited snapshot of your network (this makes it more difficult to conduct any analysis). However, this often isn’t the case. Many network interfaces are resistant to promiscuous mode, so you need to check the Wireshark website for information on your specific hardware. 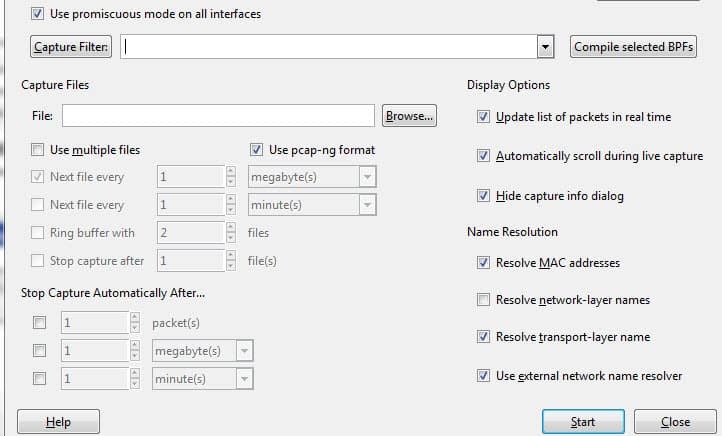 (Simply click on network and then make sure that your promiscuous mode setting are set to Allow All). If you have your settings set to “reject” promiscuous mode, then you’re going to limit the number of packets Wireshark captures. So even if you have promiscuous mode enabled on Wireshark check your Device Manager to make sure that your interface isn’t blocking any data from coming through. Taking the time to check through your network infrastructure will ensure Wireshark receives all the necessary packets of data. Once you’ve captured your network data, you’ll want to look at your captured packets. In the screenshot below you’ll see three panes, the packet list pane, the packet bytes pane, and the packet details pane. If you want more information, you can click on any of the fields in each packet to see more. When you click on a packet ,you’re shown a breakdown of its internal bytes in the byte view section. The packet list pane is shown at the top of the screenshot. Each piece is broken down to a number with time, source, destination, protocol and support information. Packet details can be found in the middle, showing the protocols of the chosen packet. You can expand each section by clicking on the arrow next to your row of choice. You can also apply additional filters by right-clicking on the chosen item. The packet bytes pane is shown at the bottom of the page. This pane shows the internal data of your selected packet. If you highlight part of the data in this section, its corresponding information is also highlighted in the packet details pane. By default, all data is shown in hexadecimal format. If you want to change it to bit format, right-click the pane and select this option from the context menu. If you want to use Wireshark to inspect your network and analyze all active traffic, then you need to close down all active applications on your network. This will reduce traffic to a minimum so you can see what is happening on your network more clearly. However, even if you turn off all of your applications, you’ll still have a mass of packets being sent and received. Using Wireshark to filter these packets is the best way to take stock of your network data. When your connection is active, thousands of packets are transferring through your network every second. This means its vital that you filter out the information you don’t need in order to get a clear picture of what’s going on. Capture Filters can’t be modified once a capture has been started. On the other hand, Display Filters can be used to filter data that has already been recorded. Capture Filters determine what data you capture from live network monitoring, and Display Filters dictate the data you see when looking through previously captured packets. You can use hundreds of different filters to break down your packet information, from 104apci to zvt. An extensive list can be found on the Wireshark website here. You can also choose a filter by clicking on the bookmark icon to the left of the entry field. This will raise a menu of popular filters. If you choose to set a capture filter, then your changes will come into effect once you start recording live traffic. To activate a display filter, simply click on the arrow to the right of the entry field. Alternatively, you can click Analyze > Display Filters and choose a filter from the list of defaults. After choosing a filter, you can view the TCP conversation behind a packet. To do this, right click on the packet and click Follow > TCP stream. This will show you the TCP exchange between the client and server. If you want more information about Wireshark filtering, Wireshark’s guide to display filters is a good point of reference. In addition to filtering which packets are shown or recorded, Wireshark’s color-coding facility makes it easier for the user to identify different packet types according to their color. For example, TCP traffic is denoted by light purple and UDP traffic is denoted by light blue. It’s important to note that black is used to highlight packets with errors. On Wireshark’s default settings, there are around 20 colors you can choose from. You may edit, disable or delete these. If you want to turn off colorization, click on the View menu and click Colorize Packet List field to turn it off. If you’d like to view more information about the color-coding on Wireshark, click View >Coloring Rules. In order to view more information on your network, the statistics drop-down menu is incredibly useful. The statistics menu can be located at the top of the screen and will provide you with a number of metrics from size and timing information to plotted charts and graphs. You can also apply display filters to these statistics in order to narrow down important information. In this menu are a variety of options to help you break down your network information. Protocol Hierarchy – The Protocol Hierarchy option raises a window with a complete table of all captured protocols. Active display filters are also displayed at the bottom. Conversations – Reveals the network conversation between two endpoints (For example exchange of traffic from one IP address to another). Endpoints – Displays a list of endpoints (a network endpoint is where protocol traffic of a specific protocol layer ends). IO Graphs – Displays user specific graphs, visualizing the number of packets throughout the data exchange. RTP_statistics – Allows the user to save the content of an RTP audio stream directly to an Au-file. Service Response Time – Displays the response time between a request and the network’s response. TcpPduTime – Displays the time taken to transfer data from a Protocol Data Unit. Can be used to find TCP retransmissions. VoIP_Calls – Shows VoIP calls obtained from live captures. Multicast Stream – Detects multicast streams and measures the size of bursts and the output buffers of certain speeds. You can configure IO graphs with your own settings according to the data you want to display. By default only graph 1 is enabled, so if you want to activate 2-5 you need to click on them. Likewise, if you want to apply a display filter for a graph, click the filter icon next to the graph you want to interact with. The style column allows you to change how your graph is structured. You can choose between Line, FBar, Dot, or Impulse. You can also interact with the X and Y axis metrics on your graph as well. On the X axis, the tick interval sections allow you to dictate how long the interval is, from minutes to seconds. You can also check the view as time of day checkbox in order to change the time of the X-axis. Under the Y-axis section, you can change the unit of measurement from any of the following options: Packets/Tick, Bytes/Tick, Bits/Tick, or Advanced. The scale allows you to choose the scale of measurement for the Y-axis of the graph. 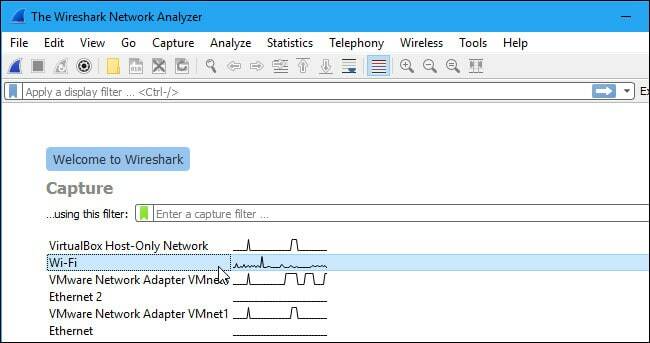 If you want to practice using Wireshark but your own network is unavailable for whatever reason, using ‘sample captures’ is a great alternative. Sample captures provide you with another network’s packet data. You can download a sample capture by going on the Wireshark wiki website. The Wireshark wiki website features a variety of sample capture files that can be downloaded across the site. Once you’ve downloaded a sample capture you can use it by clicking File > Open and then clicking on your file. Although Wireshark is a great packet sniffer, it isn’t the be-all and end-all of network analysis tools. You can expand Wireshark and support it with complementary tools. A wide community of supporting plugins and platforms can enhance Wireshark’s capabilities. SolarWinds Response Time Viewer for Wireshark allows users to calculate their application and network response time. This can be used alongside Wireshark to display data and transaction volume. This helps to assess network performance and identify possible improvements. Cloudshark is an analytical tool that was specifically written to work off wireshark captures. However, it can also import data from other packet sniffers. A Cloudshark plugin for Wireshark facilitates data transfers through to the analytical tool. NetworkMiner is another analytical tool that acts on feeds from Wireshark. This tool comes in both a free and paid version. Show Traffic displays live traffic data, identifying packets by protocol. A full network analysis tool, such as the SolarWinds monitor explained below, would also be a good addition to your IT admin toolkit. 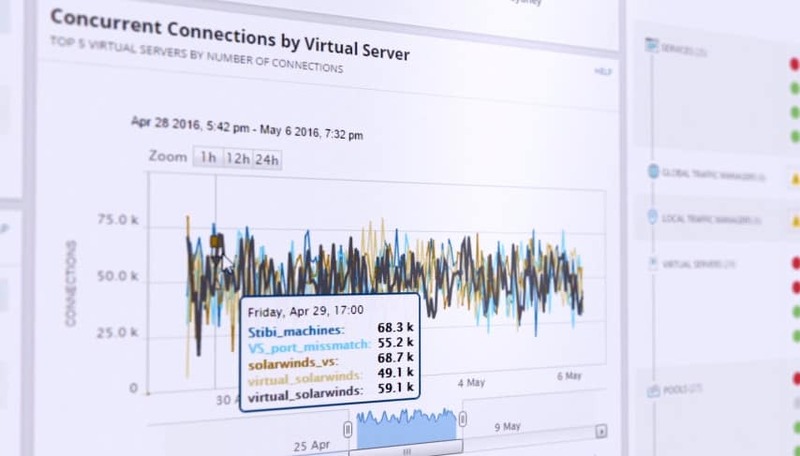 As one of the leading network management solutions on the market, SolarWinds Network Performance Monitor provides the user with extensive network monitoring functions to keep their network safe. From monitoring bandwidth to latency across a network, the user can track all live changes through the performance analysis dashboard. The live performance analysis dashboard provides an overview of the user’s real-time network infrastructure. A visual display shows all active network connections and devices. This makes it easier for the user to spot unauthorized devices. The user-friendly interface allows users to define their own alerts so that they can be notified when unusual changes occur on their network. If a new device attempts to connect, this can be flagged by the system. The live data generated on the analysis dashboard can also be converted into reports to generate further insights. Multi-Vendor Networking Monitoring – Identify and resolve multi-vendor performance issues. Wireless Network Monitoring – View performance metrics from access points, wireless devices and clients. Identify Network Dead zones – View heatmap of wireless network and identify areas with weak signal. Performance Analysis dashboard – View your entire network performance on one timeline. Drag and drop network performance data to create a live data visualization. Intelligent Alerts – Users define how alerts are generated. Choose which trigger conditions will generate an alert on the dashboard. That concludes our breakdown of how to use Wireshark. Whether you’re a new user or a Wireshark veteran, this platform is an extremely versatile network analysis tool. If you’re looking to get the most out of Wireshark, it is highly recommended that you do additional research on the Wireshark website. This is even more important if you’re looking to use more advanced features and create your own protocol dissectors. Wireshark’s official user guide offers the most comprehensive body of guidance on the subject. Don’t forget to use external plugins and supporting programs from SolarWinds as they can dramatically increase the depth of your future analysis efforts. If you’d like more information about how to optimize your network, check out our in-depth guide on network analyzers.